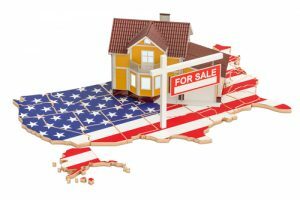 Price your home accurately – If you’re out of state, then odds are that the sooner you sell your house, the better. The last thing you’ll want to deal with is trying to sell a house out of state that ends up being on the market for months. Do not overprice your house based on what you paid for it and how much you’ve invested into improvements. It needs to be priced compared to similar real estate that has sold in the area recently. In fact, you may even want to price it slightly lower to help attract more buyers. Stage your home – If you’ve already moved out of state, then the house is probably empty. Trying to sell an empty house can be difficult since buyers will have trouble imagining how it will look with furniture. An empty house can also look smaller than it is. Staging your home can make your home more attractive to buyers. Find a reliable real estate agent – It’s extremely important that you find a trustworthy real estate agent familiar with the area. They can help price the house properly and organize showings on your behalf. They will remain in constant communication with you as well so you don’t have to worry about it nearly as much. Use these tips if you’re selling a house out of state. For a real estate agent that you can rely on, contact us at Randy Lindsay today. Use pine and cedar scents – Pine and cedar can be used to create a natural scent in your home that will help create an inviting environment, especially during the winter months. Use candles – Candles are an easy way to add visual warmth to a space as well as add a scent. 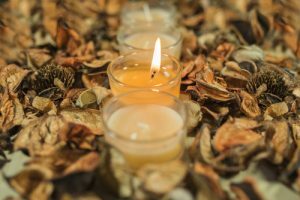 There are many different scented candles to choose from, but vanilla, in particular, tends to help create a very cozy atmosphere. Just make sure that you place your candles carefully so that there’s no risk that they’ll be knocked over. Use herbs – Herb plants in the kitchen can help to add a fresh scent to an area where the air is often a bit stale. Herbs like rosemary, basil, and thyme are particularly effective. Make some green tea – The scent of green tea is very crisp and relaxing. It will also give you something to offer to buyers as they come into your home. Warm beverages such as green tea work better in the winter months. Consider using these tips to add pleasant scents to your home in order to make a stronger first impression on home buyers. For more tips on how to prepare your home for sale, be sure to contact us at Randy Lindsay today. Set your listing apart from the rest – Highlight features that most homes don’t have to set your property apart, whether it’s a finished basement, an outdoor pool or some kind of architectural feature. Offer a transferable home warranty – Transferable home warranties only cost between $300 and $400 for a one-year policy, but they provide homebuyers with some peace of mind since they will cover the failure of the home’s appliances, such as the refrigerator or air conditioner. Offer to cover some of the closing costs – Closing costs add up to the point where they can be quite expensive for the buyer. Offering to cover some of the closing costs ahead of time can help to sweeten the deal. Price the home properly – You don’t necessarily have to lower the price of your house so that it’s the cheapest property in the area, but you need to make sure it’s priced appropriately. 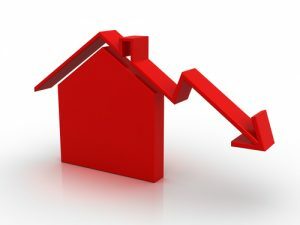 Overpricing your house in a down market is not a good idea since buyers aren’t going to be willing to overpay. Hire a real estate agent – A real estate agent will not only be able to provide you with professional advice on selling a home in a down market, they’ll have connections with other agents and potential buyers that you can take advantage of. Selling Tips – Repair Known Issues or Lower The Asking Price? 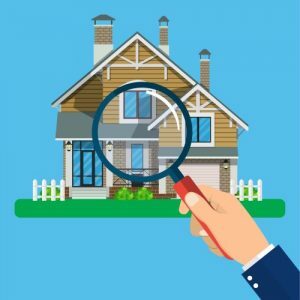 When selling a home in Charlotte, it’s important to understand that you have to disclose any known issues with your house. However, you’re not required to actually fix these problems. Whether you should pay for any repair work before you put your house up for sale depends on a variety of factors. One way that you can get around making repairs is to simply lower the price of the house. Basically, the money that a buyer would save on the lower price would be put into the repair work that’s required. 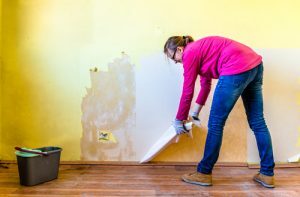 While many buyers will be willing to make this tradeoff — especially if the problem was only recently discovered during a home inspection — not all buyers will want to deal with the hassle of being in charge of major repairs. Buyers are often more attracted to homes that require less repair work. However, repairing every minor thing that’s wrong with your house may be unnecessary. A lot of minor issues may not affect the function of the house and buyers may not care about some of these issues either way. 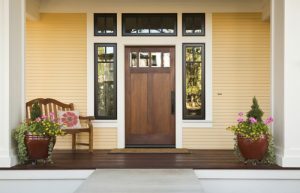 It is worth noting that if there’s a lot of minor issues, it could potentially hurt the first impression that your house has on potential buyers. The more minor issues you have, the more suspicious they’re likely to be that there may be bigger problems that have yet to be discovered. Major repairs are typically worth doing yourself unless you don’t have the budget to do so or would rather just lower your asking price. Ultimately, how fast you need to sell and how extensive the repairs needed may help you make the decision. One of the things that you’re going to want to do before you put your house up on the market is to get a professional home inspection. This will give you an idea of what all is wrong with the house so that you can invest in repairs or, at the very least, adjust the price you’re asking for accordingly. Clean the house – It’s not just that you want to leave a good impression on the inspector, it’s also that you’ll want to make sure that they can safely get to everything they need to inspect without tripping over clutter. For example, make sure that they can easily reach your furnace or take a look in your basement. Collect your paperwork – You’ll need to show the inspector documentation of all maintenance and repairs you’ve done on the house. Make sure utilities are connected – The inspector will need to test your appliances and HVAC system, so make sure the gas and electricity are on. Replace dead batteries – The inspector will check all of the smoke alarms and carbon monoxide detectors in the house. Make sure that you change out dead batteries so help keep the inspection from slowing down. Be present – Show up at the scheduled inspection time and follow the inspector so that you can ask questions and get more thorough explanations about potential issues.